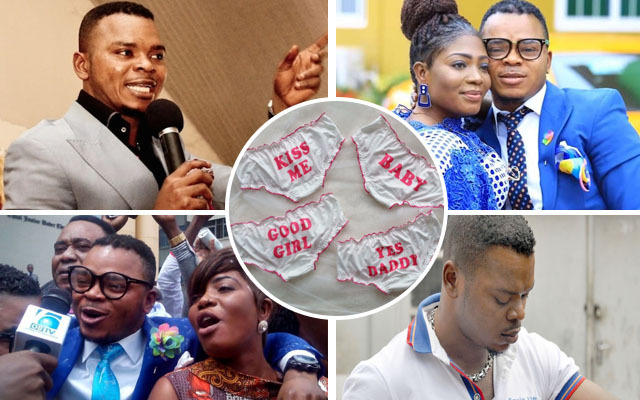 The founder and leader of the International Godsway Church, Bishop Daniel Obinim is in the news again. The preacher who has over the years been involved in a lot of controversies has asked members of the Tema Branch of his the church to bring some items for prophetic direction. In the video, the preacher is seen telling members; both male and female to bring their old underwears to church tied in a polythene bags. The males are to come with one old singlet and a boxer short while the ladies are also to come along with one each of an old underpant and a brazier in other for him to pray over them for every old curse in their lives to be broken.